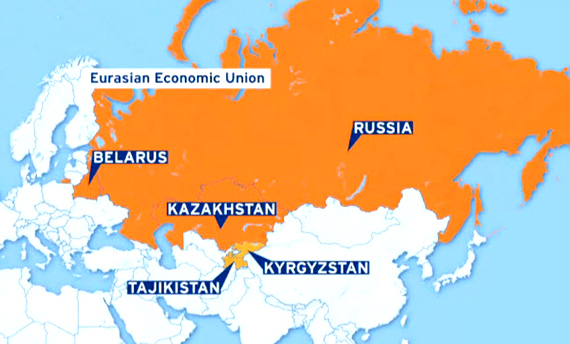 On February 25th 2015 in Brussels in collaboration with the Brussels chamber of commerce & Union of enterprises (BECI), the Trade representation of the Russian Federation and the Eurasian Economic Commission (EEC), the Chamber of commerce Belgium-Luxemburg for Russia, Belarus and Kazakhstan will organize a conference on the development of foreign economic cooperation with the Eurasian Economic Union. Privileged themes will be: the functions and the services of the Eurasian Economic Commission (permanent supranational regulatory body of the Customs Union and the Single Economic Space), custom formalities and procedures, the Court of the Eurasian Economic Community (EAEC), the Court of the Eurasian Economic Union (EAEU), review of the concrete solution by export/import – on experience of Belgian companies. The conference has an aim to help European enterprises, including SMEs, to export/import to/from Armenia, Belarus, Kazakhstan, Kyrgyzstan, and Russia. The business community is invited to take part in this event. 10.40 – “Trade Defence Instruments in the Eurasian Economic Union” by Mr. Vladimir Ilichev, Director of the Department to protect the domestic market. Registration by bak transfer of the fee before 20 February 2015 to the CCBLR bank account: BNP PARIBAS FORTIS BANK, IBAN: BE62 2100 5599 9061, BIC: GEBABEBB, with reference “February conference for Mr/Mrs …“. Contact information (First / Last Name, Company, Company’s principal activities, Post address, VAT Number, Phone, Email, Web site, Amount of registration fee) before 20 February 2015 to Maria.Landenok.CCBLR@gmail.com with a copy to a.arianoff@ccblr.org. Number of the participantsstrictly limited to 70 persons. Places will be attributed on a first come, first served basis.